As the end of the year approaches, I have decided to break from the straightforward review posts that have populated Reader Dad to date, to do a brief round-up of the year’s reading, including my Top 10 of 2011 and my Most Disappointing of 2011. If you have checked out my newly-added Reading List section, you will know that I have been recording everything I’ve read since 2003. My reading year runs from Christmas Day to Christmas Eve, because I like to have the decks cleared in time to enjoy the influx of new books that Christmas typically brings for the avid reader. By the end of this reading year, I will have read 62 books, which is my best year “since records began” (my current read, Stephen King’s 11.22.63 is likely to take me the rest of the week to complete). Of those, eight are 2011 debut novels for the authors in question. A further two are the first novels by established foreign authors to be translated into English. Twenty-two others are the first books I have read by their respective authors, and the rest are a mixture of favourites both old and new. The focus of my reading this year has been on crime fiction, with over half of the books read falling into that genre, or one of its many sub-genres (including those books I have been categorising as “thrillers” for want of a better description). 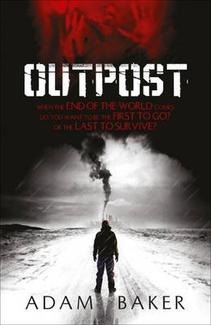 Holocaust/war fiction, science fiction, horror and westerns have all featured, and the list even includes a non-fiction title. 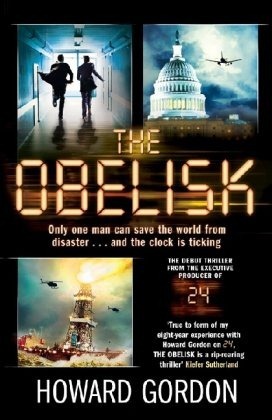 There is only one criteria for the lists below: for the book to be on the list, its first official publication date must have been between 1 January and 31 December 2011. For this reason, a couple of my favourite books of the year haven’t made it on to the list, but deserve honourable mentions nonetheless. Stephen King’s Full Dark, No Stars is a collection of four beautiful novellas to rival his earlier Different Seasons, which gave us “Rita Hayworth and Shawshank Redemption” (source of Frank Darabont’s The Shawshank Redemption), “Apt Pupil” (and the film of the same name) and “The Body” (upon which Rob Reiner’s Stand By Me is based). Thaisa Frank’s beautiful Heidegger’s Glasses tells the tale of an underground compound filled with scribes whose sole purpose is to respond to letters addressed to people who have been killed in the Third Reich’s concentration camps. Using original letters, and with a cast of sympathetic characters, it’s an excellent and extremely touching novel. Hans Keilson’s Comedy in a Minor Key, which was reissued by Hesperus late in 2010 is a must-read for anyone that enjoys to read. Simon Lelic’s third novel, The Child Who, won’t be published until early January, so you can expect to see it on my 2012 list. The following lists are in reading order, as I can’t imagine how I would be able to rate them against each other. And, chances are, an extra one or two have snuck in. Hyperlinks will take you directly to my review (where it exists). Once you start, you’ll just have to keep going until you reach the end, and this book gave me more late nights than I care to remember, always with the mantra “just one more chapter” on my lips. 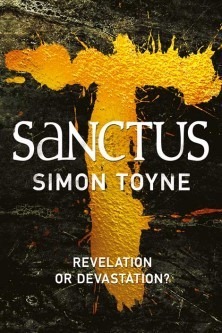 A stunning debut, a dark and terrifying crime/horror/dark fantasy novel that will appeal to a broad spectrum of readers, and a book that cements Simon Toyne firmly in my own personal must-read list. On April 14th, make sure you get your hands on a copy; you won’t regret it. 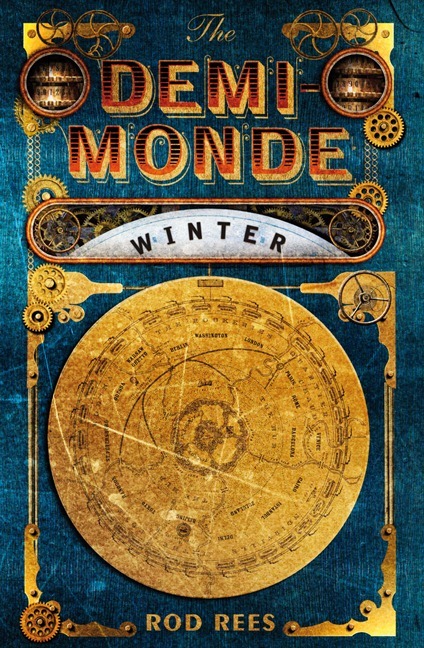 The Demi-Monde is a well thought-out and fully realised steampunk universe, with echoes of Neal Stephenson’s THE DIAMOND AGE and Tad Williams’ OTHERLAND series. The novel, like most of Stephenson’s work, is huge in scope and contains a vast cast of characters, many of whom are plucked directly from the history books. If author and publisher can maintain this standard for the rest of the series, THE DEMI-MONDE should become the cornerstone of a steampunk revival. Colfer has produced the perfect rollicking mystery. In tone, it’s probably closest to Jeff Lindsay’s Dexter novels or Scott Phillips’ The Ice Harvest, and I would recommend it to fans of both. There is comedy gold here – and Irish readers in particular will find more than their fair share of inside jokes – but the book is also plenty dark, and you’re never quite sure what’s waiting around the next corner. 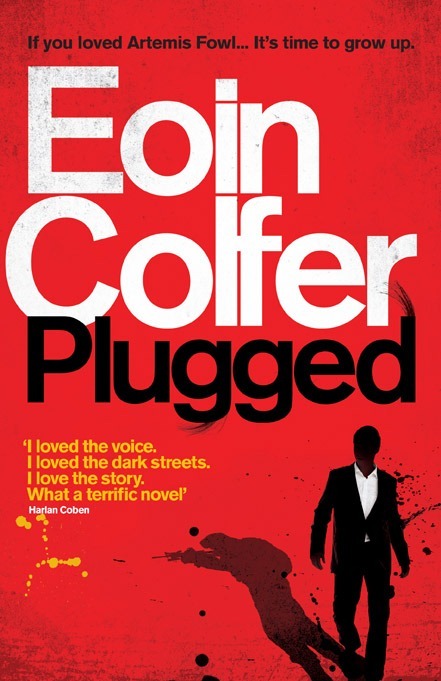 It strikes me as a brave move for a man famous for his young adult fiction to branch out in a direction that is completely inappropriate for his usual audience, but with Plugged that move has paid off for Eoin Colfer. Let’s not forget: this is a man who has given up any chance of a normal life – he is surrounded by bodyguards twenty-four hours a day – to let people know what is happening to his country. Anger is the most prevalent emotion here, but this is far from the rant that it could well have been. 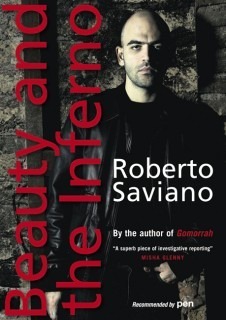 Beauty and the Inferno is a tough read, but an important book that deserves an audience; Saviano has sacrificed too much for this book not to be read. It’s a good thing for him, and for the English-speaking world, that publishers like MacLehose Press exist and thrive, and bring such important literature to a wider audience. Hidden behind Dan Stiles’ beautiful and striking cover is a surprising and wonderful piece of fiction. 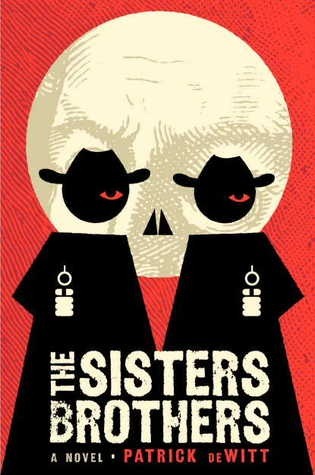 At times hilarious, at others grim and noirish, The Sisters Brothers is the perfect novel for people who like great fiction, regardless of genre – don’t let the fact that this is a Western put you off, if your preconceptions of that genre are coloured badly by those old John Wayne films. Living, breathing characters and a razor-sharp plot make this an instant classic up there with Lonesome Dove and Deadwood. It’s also one of the best books I’ve read this year. 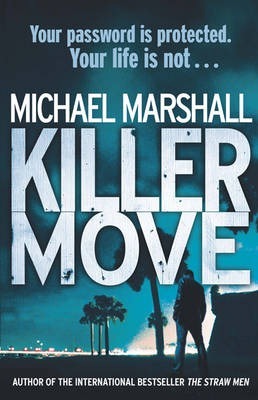 Thriller is certainly a good description, but it’s much more than that, and so much more intelligent than what immediately springs to most peoples’ minds when the word is mentioned. It’s surprisingly fact-paced for a book its size, and Stephenson manages to maintain the reader’s interest for the duration – an astounding feat in itself. My first thought was that a book about Islamic terrorists was a strange topic for Stephenson to tackle, but it’s no stranger than anything else he has chosen to write about in the past. His work is definitely an acquired taste but, in this reviewer’s humble opinion, it’s a taste worth acquiring. 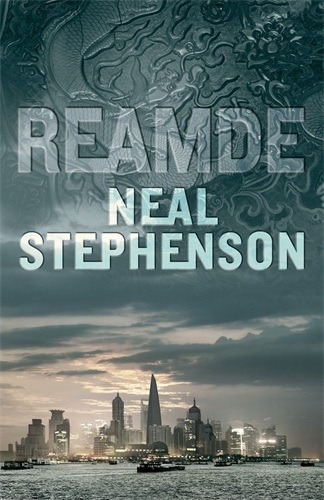 A thousand pages is a big commitment to make in this fast-moving world, but Reamde is worth every second. This one is, hands down, my book of the year. Horowitz does a fantastic job of keeping all the proverbial balls in the air, creating a perfectly-plotted set of mysteries, and a more-than-satisfactory set of solutions, while all the time maintaining the spirit of the original stories. 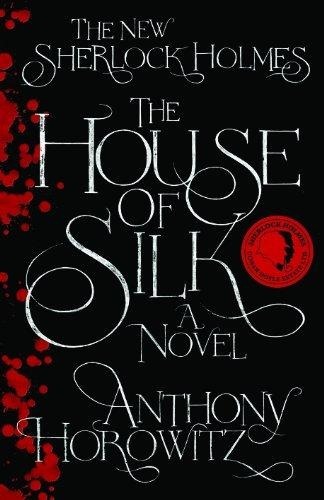 The House of Silk is a must for all fans of Sherlock Holmes. Pitch-perfect characterisation combined with a complex and involving plot leave the reader in no doubt that Holmes – and the spirit of Sir Arthur Conan Doyle – are alive and well in the form of Anthony Horowitz. For anyone who has never read Holmes, this not a bad place to start; there is nothing here that requires previous knowledge of the characters, although those who have read the Holmes stories will surely come away with a much richer experience. In the end, love does not conquer all and nobody lives happily ever after. Julia is a bleak and oppressive love story, mirroring the environment in which the love was born. It’s a beautifully-constructed mystery disguised as a literary novel which uses the oldest trick in the book – the unreliable voice – to catch the reader off-guard and take his breath away. 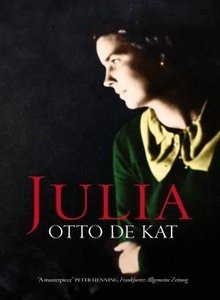 In a wonderful translation by Ina Rilke and the usual high-quality packaging that we have come to expect from MacLehose Press, Julia is not to be missed. IT may seem premature to include a book that I have yet to finish in my list of the best of the year but, at over halfway through I’m completely captivated by the story, and loving being transported once more into the world of Stephen King. 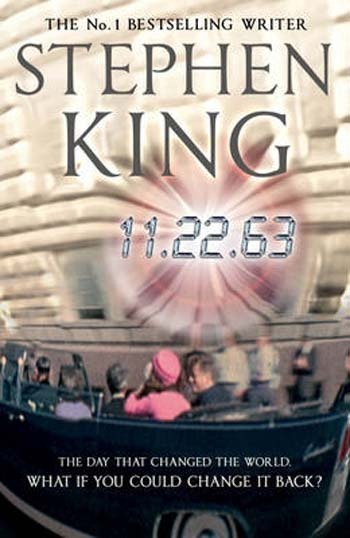 The tips of the hat to King’s earlier classic, It, have only helped to cement this, for me, as a brilliant novel. A great start leading to an ultimately poor debut for a man from whom I expected so much more. It’s an equally disappointing show from Simon & Schuster who could have improved it immensely if they’d only read it and provided feedback. If you’re tempted, save your money and pick up an 24 box set, where you’ll see Howard Gordon at his best. In the coming weeks, look out for my review of Stephen King’s 11.22.63 to see if it warrants its position on the Top 10 *ahem*. Reader Dad’s first interview will also be appearing around the turn of the New Year, so check back to see my chat with one of my favourite authors. I will also be posting reviews for a slew of novels due for publication early in the New Year, so will be kept busy reading over the Christmas break. It just remains for me to thank my regular reader, and everyone that pops in from time to time, for your support over the past ten months. I’d like to thank the wonderful publishers and publicists who have taken a punt on a newbie and provided me with some excellent review material. And I’d like to wish you all a very Merry Christmas and a Happy and Prosperous 2012. That’s because you’re a man of taste, Stu. Looking forward to seeing your top 10 list!